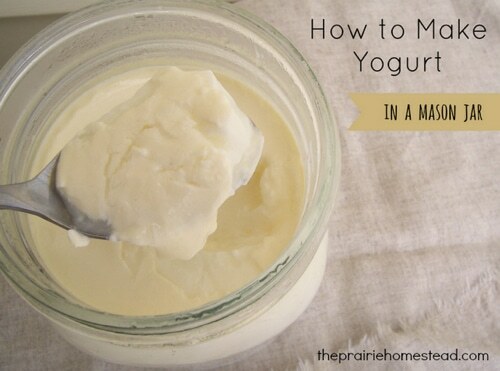 According to The Prairie Homestead, there are several important reasons to make your own yogurt. Homemade live culture yogurt is filled to probiotics that are super-good for the the body, and there are no additives or artificial flavorings. Also, it’s fun to make (especially this recipe of theirs that stores perfectly in mason jars), and when you make it you feel like a Homestead-rockstar. So rock on all you Homesteaders! Enjoy making your own yogurt.